Carpet Mill Store has been offering quality carpeting in the metro-Milwaukee area for over 40 years! We carry Masland, Mohawk, Karastan and Stanton carpeting among others! We also carry different types of flooring for baths and kitchens. Carpet Mill Store can help you create a custom area rug as large as you can imagine and as detailed as possible! We work directly with homeowners, designers, property management firms, as well as commercial developers and architects. Schmidt offers a wide range of the newest styles in designer flooring available in the market today. We have one of the largest flooring showrooms in the Midwest, located in Waukesha, Wisconsin. You can view floors by color, and we have many of our products showcased in our floors so you can see their durability as well as how well it will go in your home.Specializing in custom hardwood floors, this business that was built from the ground up in the 1960's has thrived on a great customer base and word of mouth. We now carry all flooring types, including carpet, tile, luxury vinyl, laminate and even leather! We also carry rugs and rug pads. Floor Coverings International of Brookfield, WI is a leading shop-at-home flooring provider who sells and installs hardwood floors, carpet, tile and more by bringing the flooring store to your door! We will design the perfect flooring for your home in Waukesha, from options including hardwood flooring, carpet, stone, tile, cork, bamboo, green flooring products, and much more. Enjoy the experience of a flooring boutique right in your own home. Call now for a complimentary, in-home consultation! *Authorized Dealer of Shaw Floors* Vic's Carpet & Flooring is a family owned business located in Oconomowoc, Wisconsin. Our 7000sf showroom has one of the largest selections of floor coverings in the area. Vic Raasch started the company in 1967 when he opened his first flooring showroom in a small building in downtown Oconomowoc. Vic had spent a number of years installing flooring with his two older brothers before he decided to open up his own business and control his own destiny. As the business continued to grow over the years so did the product offerings and size of the showroom. 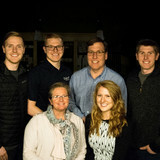 Kevin Raasch (Vic's son) officially joined the family business in 2001 after graduating college. 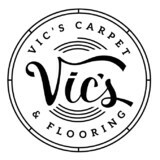 Vic's Carpet & Flooring has been in its current location since 2006. The 7000sf showroom and 5000sf of warehouse provide plenty of space to meet the needs of today's customers. For 25 years, Exceed Floor & Home’s 40,000-square-foot showroom has provided upscale options in flooring and surface designs for kitchens, bathrooms, hallways and much more. Material selections at Exceed Floor & Home include: tile, stone, marble, granite slabs, wood, carpet, cork, and bamboo. Exceed Floor & Home has expanded its product offerings to also include designer brand plumbing fixtures, custom cabinets and eco-friendly fireplaces. With these additions and professional interior designers on staff, Exceed Floor & Home is able to easily transform an outdated room into a brand-new space. Visit the showroom for a selection of materials from around the world and professional, in-house design expertise. Whether you want a complete, custom remodel or just a new look, call on the design team at Exceed Floor & Home to generate a custom idea for your next home project. For over 80 years, the Kerns family and its staff has been devoted to providing customers with expert flooring advice and ultimate customer satisfaction. Whether you need residential or commercial floor covering, Kerns Carpet staff ensures its customers a wide selection that reflects the true beauty and personality of a home or business place. Deerpath Carpet & Rug Inc.
A full line dealer offering an exceptionally large selection of wool and higher end nylon, area rugs and wall-to-wall carpets, from the finest makers and fabricated to your tastes. A wide range of wool styles, including Axminsters, Wiltons, flat weave plus natural fibers including sisal, jute, seagrass, abaca and coir all available here. Custom installations including borders and inlays. We take pride in our service and the quality of our work. When you buy carpet, you are buying a whole package; carpet, pad, installation expertise, and service. Buy from the best! Welcome to Floor Coverings International Franklin! We are the premier flooring company serving the greater South Side, including Franklin, Oak Creek and New Berlin. We provide high quality design and installation services and carry the latest flooring products including hardwood, carpet and luxury vinyl. We also carry specialty flooring including Bamboo and Cork! Take the guesswork out of getting new floors and schedule your free in-home consultation today! Entrust your next flooring project to the professionals at Carpetland. With two southeast Wisconsin showrooms and a friendly, knowledgable staff, look to your locally owned and operated Carpetland for all of your flooring needs. Carpet Town is one of the largest retail flooring stores in the greater Milwaukee area. Multiple Milwaukee Journal Sentinel's Consumer Analysis Awards as the #1 choice for flooring. 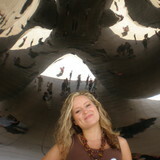 Multiple MBA awards. Proud to be Stainmaster Flooring Center! Milwaukee's oldest & most trusted name in carpets since 1910! For nearly a century Kashou Carpets has continued to offer unparalleled service. From the very finest Persian rugs to stunning wool carpeting, a world class selection to complement any home or budget. The greatest selection, best value, and an impeccable reputation for being Milwaukee’s most dependable source for all your flooring needs! Carpet dealers in Greendale, WI help homeowners choose the correct carpet covering for their floors, and also assist with carpet maintenance. This includes determining factors like material, carpet pile, durability, color and size, as well as helping with any custom carpet design. After completing the initial installation (which includes removal of the old flooring, if applicable, and surface prep), they may also handle follow-up maintenance requests such as carpet cleaning, carpet repair and carpet stretching. Carpet dealers might work closely with Wisconsin contractors, interior designers and others in the home building and home improvement industry. Here are some related professionals and vendors to complement the work of carpet dealers: Interior Designers & Decorators, Design-Build Firms, Specialty Contractors, General Contractors, Home Builders. Find a carpet dealer on Houzz. Narrow your search in the Professionals section of the website to carpet dealers in Greendale, WI, and read reviews and ratings for pros in your area.